Derstine Construction provides residential and commercial gutter installation in Milton-Freewater, Oregon. 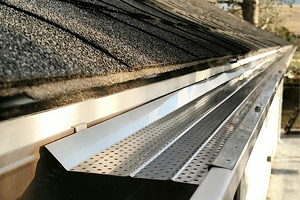 We provide rain gutter repair and installation throughout our service area, which includes several neighboring Oregon cities as well as the Tri-Cities, Walla Walla, and Dayton, Washington. We also provide standing seam metal roofs. They are perfect for homes and businesses that want the best roofing to protect against harsh weather like snow and wind. your free consultation by phone. 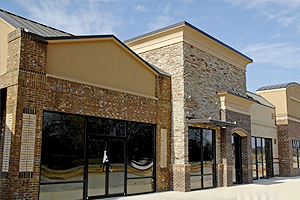 Our founder got his start in general contracting, building a variety of homes and shops. After seeing how long customers were waiting for gutter installation, we decided to purchase the equipment and add this service to better meet the needs of our local customers. The fully licensed and bonded contractors at Derstine Construction take pride in providing prompt service to our customers. We specialize in gutters, and can install them even in difficult situations. With more than five years in business, we have the experience needed to see the job done right. The goal of our company is to keep our customers happy with our service and workmanship. We genuinely care for our customers, as we believe that a happy customer is the best possible form of advertisement. Our friendly and efficient professionals are ready to provide you with outstanding service. 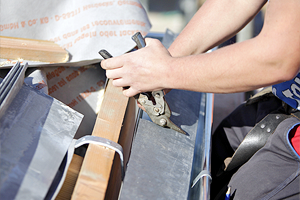 To be a service oriented company who strives to be quick and efficient in our gutter and metal roof work.